When I was younger, I hated the month of January -- the post-Christmas slump. I don't hate January anymore -- I love it! During January I organize and throw out things....and I READ! In my free time I read. In November, I was fortunate enough to win a $25 gift certificate from Barnes and Noble offered by Annie hostess of the food blog Annie Bakes. Annie's latest post is Wild Mushrooms in Puff pastry Shells --- yummy! 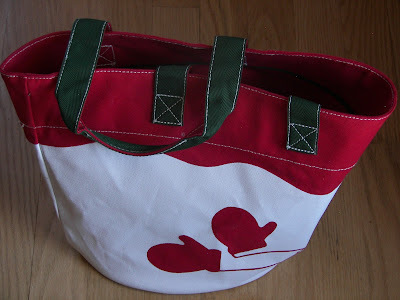 Check out Annie's blog where you will find lots of great recipes. I had read a review about the book Matched so I spent my gift certificate on the book and this cute holiday tote at Barnes and Noble. Thank you Annie! First of all, I must say, that I am a kid at heart. I still love children's picture books and tend to read books that are written for young adults. I also tend to read whatever my teenage kids are reading. Matched is a book that won't make you blush and is "clean"; that is hard to find in young adult literature today. Matched is the first book in a dystopian trilogy about a girl named Cassia who lives in a society where most decisions are made for you. The Society decides on what you will do for a career, prepares your food for you, and decides when you will die. The Society even decides, using a computer algorithm, who you will marry. The book opens up around Cassia's 17th birthday, the age at which you are "matched." That night Cassia's world becomes jumbled when the microcard that contains photos and information about her match suddenly switch to the face and information of another acquaintance of Cassia's. Even though the Society makes a visit to her and tells her that it was just a computer glitch, Cassia's world is changed forever. I loved all 366 page of it, but HATE that I have to wait until November 2011 until the sequel Crossed is available. My 14 year-old daughter Tati also read Matched. She liked it but was frustrated that Cassia didn't do anything about her circumstances. I told her, "not to worry," she will in the second book. Ally Condie is a native of Cedar City, Utah, my home state. She sent the Matched manuscript to 25 to 30 agents before she had an interested party; she found the list of agents on the Internet. 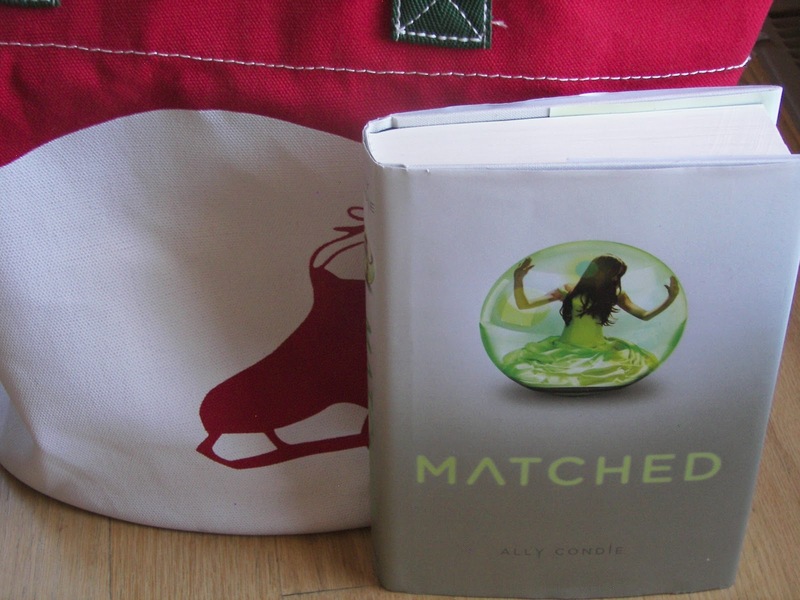 The publishing rights for Matched were sold to 30 countries and the movie rights were sold to Disney. You might want to check out the book Matched. Thanks for the review! I ALSO still love children's picture books and tend to read books that are written for young adults. My oldest daughter is in her last semester of a master's program in creative writing for juveniles (children's picture books, up to novels). Her motivation in doing this was because as a secondary English teacher she felt that there just weren't enough "good, clean" books for young adults. We'll have to check this title out. Sounds like a book I would like. I like young adult books too. I don't like waiting for sequels though. I just finished one and was so excited to purchase the next but they said it would be out Fall of 2012! Yuck. What a fun purchase too. Maybe I can begin to like January with that mind set. Your review really piqued my interest, Joni. I had a children's lit. class in college, and I loved it!